We took this week off from our school work. 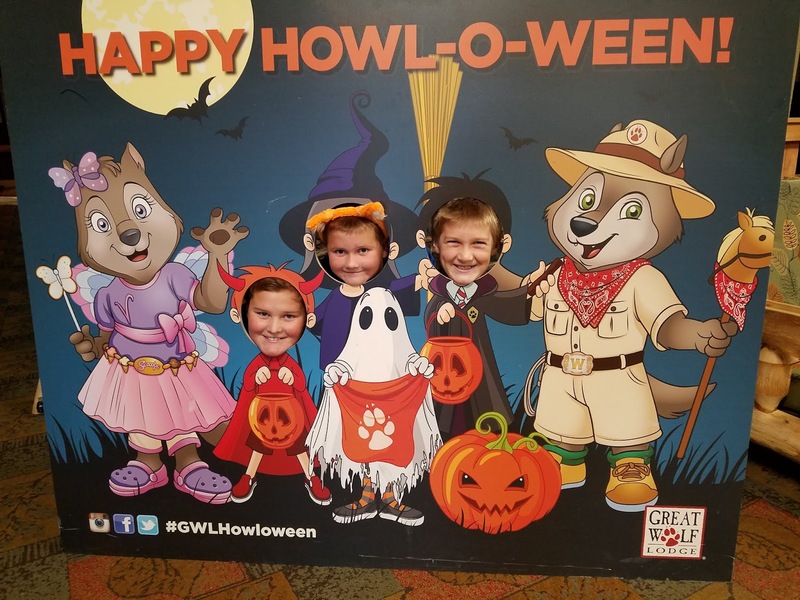 We knew we'd probably spend one day working on our science fair presentations but other than that we set our books aside for some fall family fun. Monday we went trick or treating at the zoo and watched all the animals. 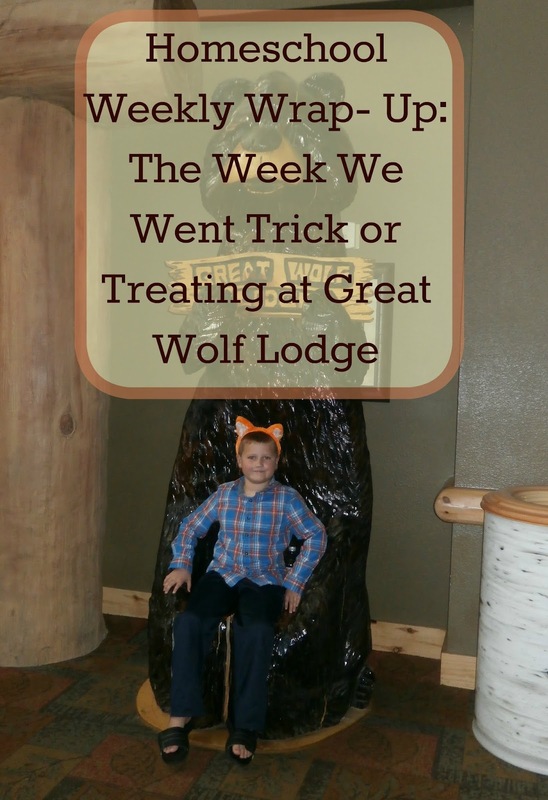 Tuesday we headed to Great Wolf Lodge New England and spent both Tuesday and Wednesday enjoying a fun mini vacation with other homeschooling family and friends. The rest of our weekly plans were canceled when we had an unexpected injury and a bout of illness-- always a sure sign that we all just need to rest and relax. So we took two days to just lay around the house, watching TV and resting. Art: Evan and I made our own Harry Potter wands on Friday. We found a few smooth and straight sticks, added some decorations using hot glue and then painted them. Geography: The boys and I played a game of Brain Quest States Game. Math: The boys all completed another set of pages in Multiplication games. I was busy when Evan was working on his and was thrilled to see him complete all of the 2, 3, 5, 9 & 10's columns and rows completely on his own! Science: Ian made another solar powered vehicle for his report while Alec read another book on small cats. Evan read a book called Snakes and we finished up Parrots. We spent a day at the zoo learning about creepy crawlies and seeing which animals were still around in the fall. You can read all about our trip here. Spelling/ Language arts: The boys all got a 100 on their spelling tests last Friday! What a perfect sign that we could take a mini break from our spelling work! Evan completed another set of pages in his 100 Spelling Words book while the older two boys worked on a page in their grammar book dealing with rewriting sentences to make more sense. Physical Education/ Health and Nutrition: We've spent an unusual amount of time learning about health and wellness this week. We've been having a bit of trouble with my youngest throwing up every few days to every few months. Usually it's after complaints of being overly full so we're trying to help him learn to listen to his body and stop eating when he's full. We're also looking at foods that may be upsetting his stomach and trying to see if there's any pattern in what he's eating on those days he gets sick. In the meantime it's making it hard to know WHY he's getting sick and each time I prepare myself for the worse and hope that no one else "catches" it; just in case it is actually caused by a stomach bug. It's been a pretty stressful time and we are all at a loss as to what to do for him. Two of the boys had dental check- up this week and I was complimented a few times on how sweet and nice they were while also being assured that they are doing a great job on keeping their teeth healthy. 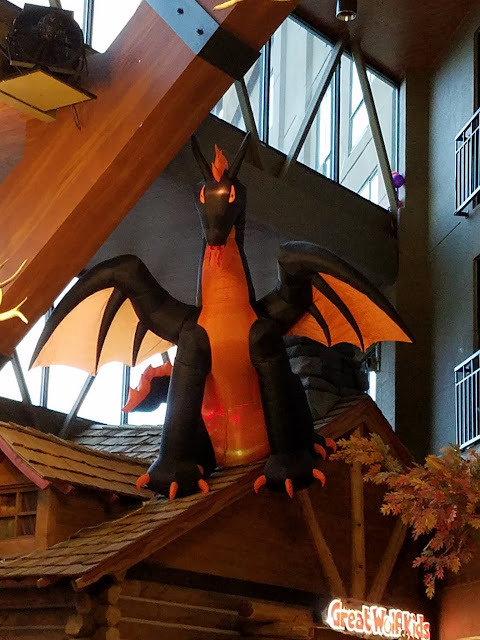 Ian injured his foot at Great Wolf Lodge; enough that it looks like he might loose his toenail. We've been educating ourselves on what to do for him and helping him mange any pain he might be having. Alec started running a fever on Thursday and we all spent a day reviewing what we do to help our bodies heal. Family fun: We went out to breakfast on Saturday and spent the day indoors watching movies while the rain come pouring down. Alec, Evan and I played Old Maid over the weekend. The boys and I spent two days at Great Wolf Lodge enjoying all of their Halloween decorations on top of the water park and obstacle course. You can read more about it here. Didn't you say you took the week off? Still looks like a full week of learning. So fun! My middle son almost always chooses an animal. He just loves them all so much. I was questioning a possible milk allergy but then this last time he got sick he didn't have any milk.... of course it could be something else he's eating that he's allergic to. At this point I'm keeping a food journal of foods he's eating when he's getting sick, how long between meals and sickness, how quickly he recoups, etc. and hoping we can find some sort of pattern in it all. Thanks for the advice though. What a great week. My son has some stomach issues and a long history of food allergies. It is hard to tease out. I hope you all get it figured out. Thank you. We're certainly going to try. Looks like a fantastic week, even with the books put away! I've always wanted to go to a Great Wolf Lodge, but we haven't made it. Hope the injury and illness heals up quickly! 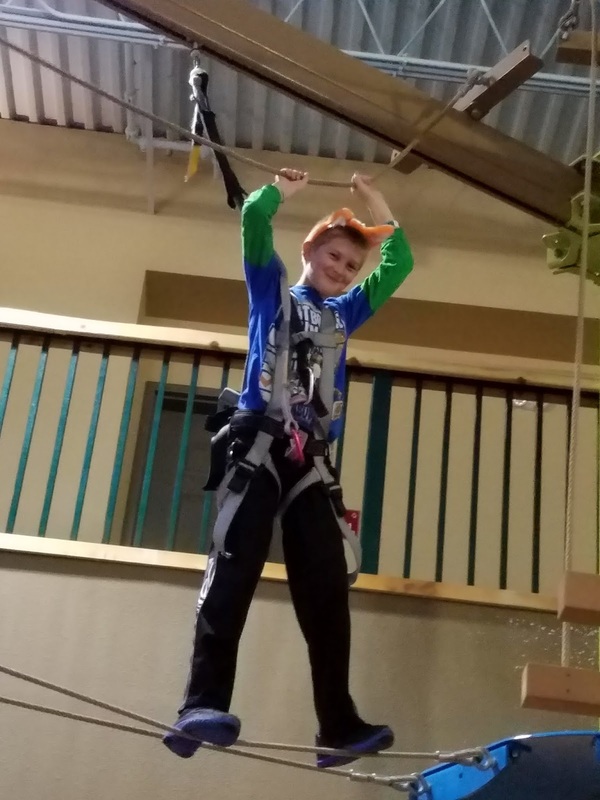 We had a FANTASTIC homeschool special that local mom worked out. We have been a few times but this was by far the best deal we've ever seen. Looks like a full week of learning even without the books. I've heard great things about Great Wolf Lodge. My boys sure do enjoy it!